One of the things I always look for in a good nutritional supplement is value. 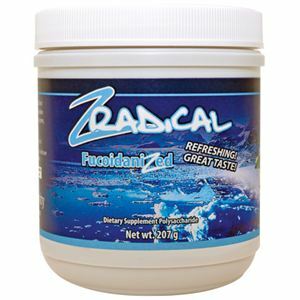 And boy does Youngevity’s dietary supplement Z-Radical have value. Its active ingredient, fucoidan is a potent and unique bio-molecule with a chemical structure that makes it tremendously versatile. Derived from ocean vegetation, fucoidan absorbs and holds water like a sponge; this property is called hygro-scopicity (Latin for “moist looking”) and it’s responsible for the gooiness that is seaweed’s most obvious characteristic. Scientists know fucoidan as a “sulfated polysaccharide”. This somewhat unwieldy nomenclature simply refers to the fact that this fabulously functional nutritional molecule is a complex of many sugars (poly = many, saccharide = sugar) with an element of sulfur attached. The complex sugar polysaccharide portion of fucoidan is, as described by its designation, made up of various sugar molecules. While most folks have heard of the more common sugar molecules such as glucose and fructose, fucoidan is composed of lots of pieces of a lesser known sugar called fucose, which is considered to be one of the 8 biologically active sugars (in addition to glucose, the most biologically active of all essential sugars, the others are mannose, lactose, xylose, N-acetyl neuraminic acid, N-acetyl glucosamine and N-acetyl galactosamine). When sugar molecules are strung together in long polysaccharide chains some interesting properties emerge. The most dramatic is the aforementioned greatly enhanced ability to absorb water. This water trapping effect gives polysaccharides a slimy mucous-ey quality that plays an important role in healing wounded biological tissues especially in the digestive system. It may not sound very pretty but the water-trapping mucoid slime basically coats and soothes inflamed and irritated digestive tissue not only calming and healing irritation, but just as importantly “sliming’ away toxic substances like H-Pylori and other pesky bacteria as well as potentially irksome food particles (e.g. gluten and other allergy causing proteins). This makes polysaccharides like fucoidan super helpful for all digestive ailments including Celiac Disease, Crohn’s Disease, Ulcerative Colitis and Irritable Bowel Syndrome. The sulfur attachment to the polysaccharide provides benefits too. First of all, sulfur, being water soluble, enhances the hygroscopic nature of fucoidan. That means even more sliminess and even more coating and soothing benefits for inflamed digestive tissue. And the sulfur attachment can be cleaved by the enzymes to releasing the element from its sugar attachment and making it available for use on its own. Formation of collagen, detoxification and activation of important biomolecules like cholesterol and Vitamin D are examples of sulfur dependent biological functions that can be enhanced by the cleavage of sulfur from its polysaccharide attachment. Finally, because of sulfur’s inherent attraction to protein molecule to proteins sulfation of the polysaccharide allows fucoidan to attach itself to various enzymes and tissues enhancing its biological activity even further. Fucoidan’s complexes of sugars have significant and well-researched anti-cancer properties. 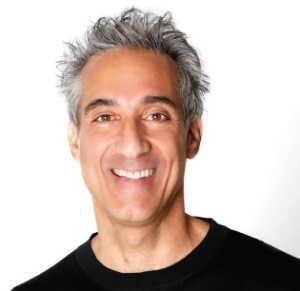 A quick search of the scientific website pubmed.com reveals several pages of studies that that demonstrate fucoidan fights various forms of The Empower of Maladies, including cancers of the breast, prostate and skin. And it can help lessen the side effect severity of chemotherapy and radiation. Even if you’re not concerned about cancer, fucoidan provides all-around support for our body’s built-in defenses, the immune system. 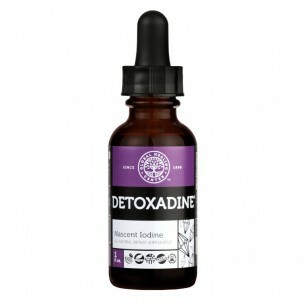 With the regular assaults on our bodies through food water and air, even if you’re healthy and a-symptomatic, using supplemental fucoidan can be an important maintenance strategy to prevent degeneration and illness before bodily breakdown begins. Perhaps the most notable role that fucoidan plays in helping keep a human body healthy involves its ability to keep blood circulating smoothly. Embolisms and thrombosis and other defects in blood clotting are a significant and often fatal health condition. According to the National Blood Clot Alliance, every year, up to two million people develop clots. Blood-thinners like Warfarin and Pradaxa, consistently best selling drugs in America, are also among the most toxic and troublesome to monitor. While certainly not as potent as pharmacological agents, in non-critical conditions, the gentle and non-toxic anti-coagulant effects of fucoidan should at least be considered as a therapeutic alternative to toxic medications. What more could you want in a nutritional supplement! OK, how about anti-inflammatory effects? Once again a quick search of the scientific literature reveals numerous studies that prove this multifunctional and completely non-toxic nutritional/food substance can improve all the markers of the inflammatory process including reduction in pain and blood clogging fiber formation. And for joints, fucoidan may be helpful in treating both osteo and rheumatoid arthritis. If you’re thinking that you want to make fucoidan a part of your daily supplement regimen (good idea! 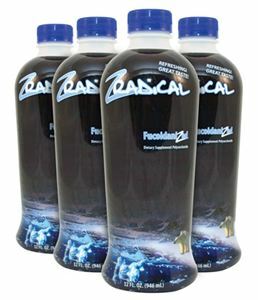 ), I can think of no better and more cost effective product source than Youngevity’s Z-Radical. Each bottle is 90 percent fucoidan and contains 50 mg of the stuff in every ounce (2 tablespoonfuls). According to Dr. Don VerHulst, MD, the physician who formulated the Z-Radical, that’s enough to stimulate stem cell growth an important marker of anti-aging and healing, within 30 days, when taken on a daily basis. It’s pretty reasonably priced, you can use it for general health or to effectively address various health challenges and on top of all of that, it’s berry and banana vehicle tastes pretty good darn good too!